In an era of British imperial expansion, with limited social mobility at home, men with ambition, energy, and imagination looked to the wide world for opportunities to make their fortune. 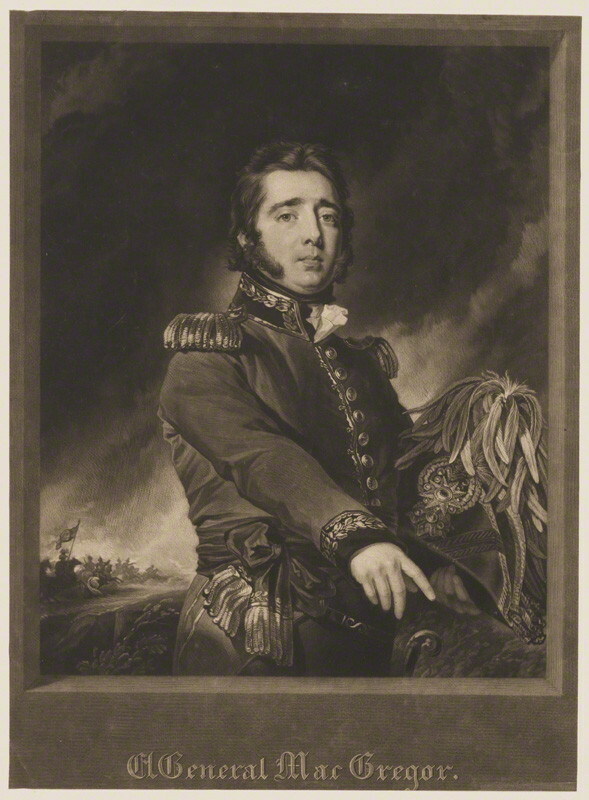 It didn’t seem odd then, when General Gregor MacGregor, a soldier of fortune and former officer in His Majesty’s service, turned up in London in 1821 claiming he had come to attend the coronation of George IV on behalf of the recently revived British Protectorate of the Mosquito Coast and its king, George Frederic Augustus I. On the contrary, people were impressed when he announced himself to be the Cazique (Chieftain, or as MacGregor implied, Prince) of Poyais, an autonomous colony within the protectorate. Invitations flooded in and the upper classes embraced him. Given the chaotic situation in South American and the gold rush of people attempting to make their mark there, it seemed plausible, but MacGregor had more ambition and imagination than actual authority or property. Thus began one of the great frauds of history, and Poyais wasn’t his first scheme. It wouldn’t be his last. As colorful characters go, this one was a fraudster on a grand scale. MacGregor came from a Scottish clan so poorly regarded that the very name had been illegal from the time of James I until Gregor’s grandfather succeeded in overturning the law in 1774, after his service in the Black Watch. His mother’s family bought Gregor a commission in the 57thRegiment of Foot when he was 16. Within two years he married an admiral’s daughter and used her dowry to purchase advancement to captain. After service in Gibraltar, his regiment joined in the Peninsular War in Portugal. For some reason—most likely dispute with a senior officer—MacGregor was seconded to a Portuguese regiment and given the rank of major. During the eighteen months he spent with the Portuguese army he learned fluent Spanish and Portuguese. He wasn’t welcomed back, and in 1810 he formally retired from the British army. He was 24. For the next year or so he paraded around Edinburgh and London spending money conspicuously and making exaggerated claims about his military career. He claimed the title “Sir;” he claimed to be a colonel; he claimed Portuguese honors. None of it brought any social prominence, and his young wife’s death left him destitute with few options. 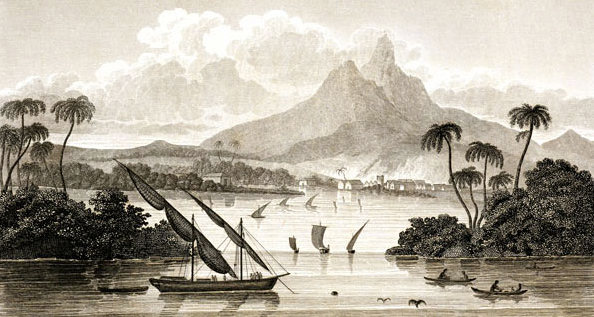 Gregor MacGregor decamped for Jamaica. Soon after he presented his military credentials—both exaggerated and fraudulent—to Francisco de Miranda in Venezuela. General de Miranda, desperate to shore up his defense of the country’s newly won independence, bought it. In April 1812, now Colonel in command of a cavalry unit, MacGregor won at least one significant engagement against Spanish royalist troops, engaged in several others, and enjoyed favor in de Miranda’s army. In June he married the daughter of a prominent Caracas family, a cousin of Simon Bolivar. In July de Miranda’s government collapsed and the MacGregors evacuated with the rest of the survivors. After removing his wife, Josefa, to Jamaica, he fought in Bolivar’s revolutionary armies in Venezuela, apparently with some distinction and competence for the next four years. He was promoted to general “Of the Order of the Liberators.” This has been called the high point of any actual military career. Again, however, the endeavor—at least in Venezuela—collapsed, leaving MacGregor at loose ends. In early 1817 Gregor and Josefa sailed for the United States to raise money and volunteers for a proposed invasion of Florida. He raised $160,000 by selling bonds for land in the proposed new Republic of Florida, and a small body of recruits, most of whom were arrested before they could leave the U.S, but he managed to sail with two ships and 150-200 men. 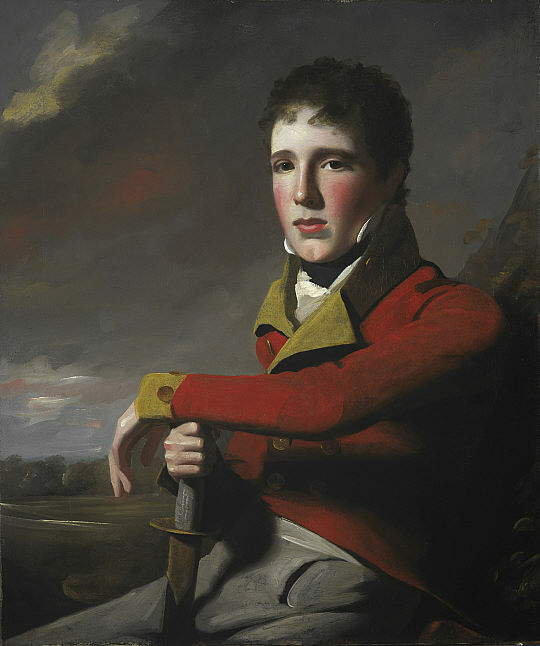 While it may have been proposed as part of the general liberation of Spanish-American from the royalists, MacGregor’s personal ambitions quickly came to the fore. Fort Juan Carlos on Amelia Island surrendered without a fight, probably on the assumption that the much larger force at Saint Augustine would turn it around. Perhaps they assumed Spain no longer cared. 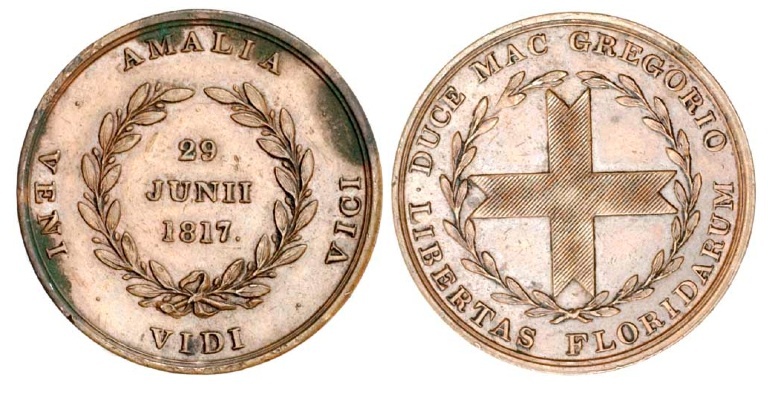 In any case, it surrendered and MacGregor hoisted his flag, a green cross on white, and set up his republic. He even had medals created to commemorate the victory, with his name prominently displayed as “Duce” or leader of independent Florida. For four months he ran his government. A small force sent to reconnoiter Saint Augustine was easily defeated. Meanwhile, MacGregor attempted to levy taxes on a population that had largely fled to the mainland after seizing and trying tons slaves on the surrounding plantations. Unfortunately couldn’t raise enough money to pay his troops. Within months he sailed off after selling the island to Luis Aury, who is variously described as a pirate, a privateer, or a revolutionary, for $50,000. By 1818 he and his family were back in London attempting to recruit and fund a “British Legion,” having learned of the numbers of unemployed officers and men available since the defeat of Napoleon. After squandering money from the Third Venezuelan Republic’s envoy, he funded the effort by selling commissions in his new army. The confusing period that followed MacGregor led under-equipped, poorly armed troops into half-baked, poorly planned actions rewarding them largely with invented titles and bravado. His efforts, such as they were, were concentrated in what is now Panama. He high-jacked a ship, bribed officials, changed plans repeatedly, led men to their deaths several times, and ran out when disaster loomed. Following a series of debacles, he limped into British controlled Jamaica to find himself deep in debt and his family homeless. In April 1820 King George Frederic Augustus I granted MacGregor 80million acres of land in exchange for rum and jewelry. The British Protectorate of the Mosquito Coast, also known as the Miskito Kingdom, was an undeveloped land populated by a mixed-race group of people descended from escaped African slaves and indigenous peoples. By 1820 traces of an earlier British attempt to colonize it had all but disappeared. MacGregor called his grant Poyais. It is unclear where he got the jewelry and rum he paid for it. He was about to come into his true calling. Even he had left his military reputation in shreds in the Carribean, MacGregor’s story doesn’t seem to have been questioned in London. He presented himself as a dashing military hero, a veteran of the Peninsular War and victories in Venezuela, with an exotic wife and 80 million acres of land. He opened a legation flying his green-cross flag and went to work. This time he appears to have planned carefully. MacGregor published Sketch of the Mosquito Shore, including the Territory of Poyaisby “Captain Thomas Strangeways.” It described a land rich in fertile farmland, gold and silver mines, and other natural resources. 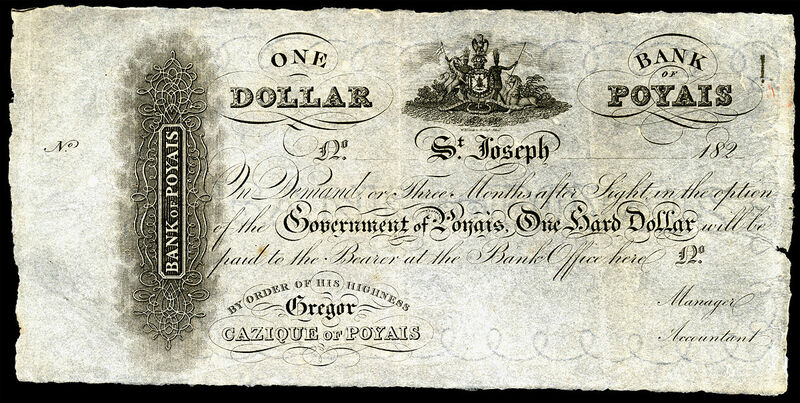 It created a history that included previous British settlement with a capital called Saint Joseph. It claimed Poyais had a democratic government, civil service, a bank and an army all of which existed only in MacGregor’s Imagination. Set up headquarters in London and land offices in Glasgow, Stirling, and Edinburgh to sell land cheaply to the poor and bonds to the wealthy. The “Legation of Poyais” planned seven ships to carry settlers. Eventually, two ships filled with 240 settlers including doctors, lawyers, and a banker left Britain for the new land. MacGregor himself saw them off and drew cheers by announcing that women and children of the inaugural voyage would sail for free. He had to know what they would find; perhaps by this time he had deluded himself. They found none of the promised infrastructures. The capital city was no more than a few ruins and a cemetery. The jungle proved uninhabitable, food scarce, and disease rampant. Two-thirds of them died. Eventually, sixty survivors limped back to London. By then MacGregor, perhaps not so deluded after all, had left for France where he attempted to replicate the scheme. Oddly most of the settlers defended him, convinced there had been a mistake, and refused to believe that the Cazique had lied to them. During his time in France, he made overtures to the Spanish government, claiming royal status and distancing himself from his republican past. He offered to reclaim Guatemala for Spain with Poyais as his base. That failing, he rewrote the constitution to form the Republic of Poyais with himself as head of state. Materials were translated into French and land sales commenced. The French government, however, became suspicious of requests for passports to travel to a country they had never heard of. The scheme unraveled, and they arrested Gregor MacGregor. Found not guilty (!) in French courts, he swiftly moved his family back to London and picked up his identity as Cazique of Poyais on a slightly more modest scale. He no longer claimed diplomatic status. He was briefly arrested but never charged. The stories of the survivors had died down. People believed the devaluing of the bonds was due to embezzlement by employees or general downturn. No one questioned the very existence of Poyais, and the Cazique continued to peddle land deals on a modified scale throughout the 1830s. 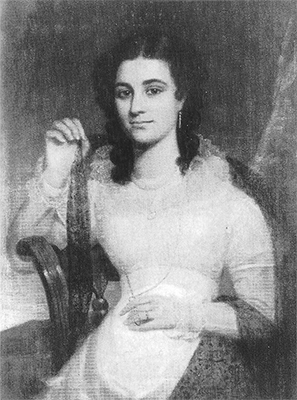 Josefa MacGregor died in 1838 not long after his last known sale. MacGregor himself returned to Venezuela soon after where he applied for citizenship, an appointment as general, back pay, and a pension. The man didn’t think small. He was granted almost all if it in recognition of his service twenty years before. When he died in 1845, he was buried from the Caracas Cathedral with the president and senior military following his casket. One can only assume the man’s charisma to have been monumental. People simply wanted to believe him. Miskito is now part of Nicaragua, although there are separatist movements. As to Poyais, much of where it was meant to be appears to be parkland and remains largely uninhabited. Wow!! Takes scheming to a whole other level. Very fascinating read! It never ceases to amaze me how devious some can be and how credulous their audience. This is one of my favorite blogs – thank you History Imagined. I always enjoy your articles. Have you thought about doing a podcast ?